The National Labor Relations Act of 1935 (also known as the Wagner Act) is a foundational statute of United States labor law which guarantees the right of private sector employees to organize into trade unions, engage in collective bargaining, and take collective action such as strikes. The act was written by Senator Robert F. Wagner, passed by the 74th United States Congress, and signed into law by President Franklin D. Roosevelt. The National Labor Relations Act seeks to correct the "inequality of bargaining power" between employers and employees by promoting collective bargaining between trade unions and employers. The law established the National Labor Relations Board to prosecute violations of labor law and to oversee the process by which employees decide whether to be represented by a labor organization. It also established various rules concerning collective bargaining and defined a series of banned unfair labor practices, including interference with the formation or organization of labor unions by employers. The act does not apply to certain workers, including supervisors, agricultural employees, domestic workers, government employees, and independent contractors. The NLRA was strongly opposed by conservatives and members of the Republican Party, but it was upheld in the Supreme Court case of NLRB v. Jones & Laughlin Steel Corp. The 1947 Taft–Hartley Act amended the NLRA, establishing a series of unfair labor practices for unions and granting states the power to pass right-to-work laws. An act to diminish the causes of labor disputes burdening or obstructing interstate and foreign commerce, to create a National Labor Relations Board, and for other purposes. President Franklin Roosevelt signs the Act on July 5, 1935. With Rep. Theodore A. Peyser (D-NY, left) and U.S.Secretary of Labor Frances Perkins (right). President Franklin Roosevelt signed the legislation into law on July 5, 1935. Under section 1 (29 U.S.C. § 151) of the Act, the key principles and policy findings on which the Act was based are explained. The Act aims to correct the "inequality of bargaining power between employees who, according to the Act's proponents, do not possess full freedom of association or actual liberty of contract and employers who are organized in the corporate or other forms of ownership association". To achieve this, the central idea is the promotion of collective bargaining between independent trade unions, on behalf of the workforce, and the employer. encouraging the practice and procedure of collective bargaining and by protecting the exercise by workers of full freedom of association, self-organization, and designation of representatives of their own choosing, for the purpose of negotiating the terms and conditions of their employment or other mutual aid or protection. Various definitions are explained in section 2, (29 U.S.C. § 152) including 2(5) defining "labor organization" and 2(9) defining "labor dispute". The Act aims to protect employees as a group, and so is not based on a formal or legal relationship between an employer and employee. The National Labor Relations Board (NLRB), which was established in NLRA 1935 sections 3 to 6 (29 U.S.C. § 153–156), is the primary enforcer of the Act. Employees and unions may act themselves in support of their rights, however because of collective action problems and the costs of litigation, the National Labor Relations Board is designed to assist and bear some of the costs. Under section 3, (29 U.S.C. § 153) the NLRB has two basic functions: overseeing the process by which employees decide whether to be represented by a labor organization and prosecuting violations. Those processes are initiated in the regional offices of the NLRB. The General Counsel of the National Labor Relations Board give legal advice. Sections 4 (29 U.S.C. § 154) and 5 (29 U.S.C. § 155) set out provisions on the officers of the Board and their expenses. Section 6 (29 U.S.C. § 156) empowers the Board to issue rules interpreting the labor legislation. This will generally be binding, unless a court deems it to have acted outside its authority. Under section 10 (29 U.S.C. § 160) the NLRB is empowered to prevent unfair labor practices, which may ultimately be reviewed by the courts. Under section 11 it can lead investigations, collect evidence, issue subpoenas, and require witnesses to give evidence. Under section 12 (29 U.S.C. § 162) it is an offense for people to unduly interfere with the Board's conduct. Section 7 (29 U.S.C. § 157) sets out the general principle that employees have the right to join a trade union and engage in collective bargaining. Employees shall have the right to self-organization, to form, join, or assist labor organizations, to bargain collectively through representatives of their own choosing, and to engage in other concerted activities for the purpose of collective bargaining or other mutual aid or protection, and shall also have the right to refrain from any or all of such activities except to the extent that such right may be affected by an agreement requiring membership in a labor organization as a condition of employment as authorized in section 8(a)(3). Specific rules in support of collective bargaining are as follows. There can be only one exclusive bargaining representative for a unit of employees. Promotion of the practice and procedure of collective bargaining. Employers are compelled to bargain with the representative of its employees. Employees are allowed to discuss wages. (a)(1) "to interfere with, restrain, or coerce employees in the exercise of the rights guaranteed in section 7". This includes freedom of association, mutual aid or protection, self-organization, to form, join, or assist labor organizations, to bargain collectively for wages and working conditions through representatives of their own choosing, and to engage in other protected concerted activities with or without a union. (a)(2) "to dominate or interfere with the formation or administration of any labor organization or contribute financial or other support to it"
(a)(3) "by discrimination in regard to hire or tenure of employment or any term or condition of employment to encourage or discourage membership in any labor organization"
(a)(4) discriminating against employees who file charges or testify. (a)(5) refusing to bargain collectively with the representative of the employer's employees. In addition, added by the Taft–Hartley Act, there are seven unfair labor practices aimed at unions and employees. Under section 9 (29 U.S.C. § 159) the people elected by a majority of the workforce have the right to become the exclusive representatives of workers in collective bargaining with the employer. The NLRA 1935 does not cover two main groups of employees: those working for the government, and in the railway or airline industries. Section 2(2) (29 USC §152(2)) states that the Act does not apply to employees of the "United States or any wholly owned Government corporation, or any Federal Reserve Bank, or any State or political subdivision thereof, or any person subject to the Railway Labor Act". Under section 19 (29 U.S.C. § 169), people who have religious convictions against joining a trade union are entitled to not associate or financially support it. The act also excludes independent contractors, domestic workers, and farm workers. In recent years, advocacy organizations like the National Domestic Workers' Alliance have worked on the state level to pass a Domestic Workers' Bill of Rights, to extend to domestic workers the protections granted under the NLRA. Similar advocacy efforts are taking place on behalf of farm workers. The Social Security Act of 1935 excluded from coverage about half the workers in the American economy. Among the excluded groups were agricultural and domestic workers—a large percentage of whom were African Americans. The act was bitterly opposed by the Republican Party and business groups. The American Liberty League viewed the act as a threat to freedom and engaged in a campaign of opposition in order to repeal these "socialist" efforts. This included encouraging employers to refuse to comply with the NLRB and supporting the nationwide filing of injunctions to keep the NLRB from functioning. This campaign continued until the NLRA was found constitutional by the Supreme Court in National Labor Relations Board v. Jones & Laughlin Steel Corporation (1937). Labor groups, while overwhelmingly supportive, expressed a set of reservations. The American Federation of Labor and some employers accused the NLRB of favoring the Congress of Industrial Organizations, particularly when determining whether to hold union elections in plant-wide, or wall-to-wall, units, which the CIO usually sought, or to hold separate elections in separate craft units, which the craft unions in the AFL favored. While the NLRB initially favored plant-wide units, which tacitly favored the CIO's industrial unionism, it retreated to a compromise position several years later under pressure from Congress that allowed craft unions to seek separate representation of smaller groups of workers at the same time that another union was seeking a wall-to-wall unit. Employers and their allies in Congress also criticized the NLRA for its expansive definition of "employee" and for allowing supervisors and plant guards to form unions, sometimes affiliated with the unions that represented the employees whom they were supposed to supervise or police. Many accused the NLRB of a general pro-union and anti-employer bias, pointing to the Board's controversial decisions in such areas as employer free speech and "mixed motive" cases, in which the NLRB held that an employer violated the Act by using misconduct that ordinarily would not result in termination to fire an employee who was engaged in pro-union activity. In addition, employers campaigned over the years to outlaw a number of union practices such as closed shops, secondary boycotts, jurisdictional strikes, mass picketing, strikes in violation of contractual no-strike clauses, pension and health and welfare plans sponsored by unions and multi-employer bargaining. 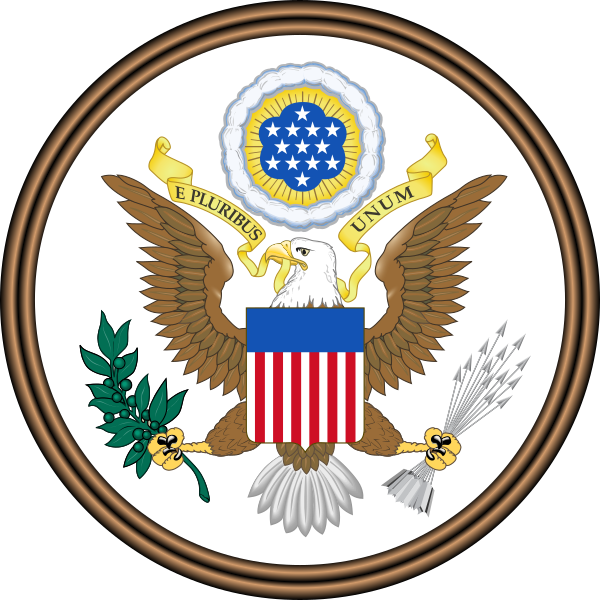 It is declared to be the policy of the United States to eliminate the causes of certain substantial obstructions to the free flow of commerce and to mitigate and eliminate these obstructions when they have occurred by encouraging the practice and procedure of collective bargaining and by protecting the exercise by workers of full freedom of association, self-organization, and designation of representatives of their own choosing, for the purpose of negotiating the terms and conditions of their employment or other mutual aid or protection. Some of these changes were later achieved in the 1947 amendments. Opponents of the Wagner Act introduced several hundred bills to amend or repeal the law in the decade after its passage. All of them failed or were vetoed until the passage of the Labor Management Relations Act of 1947, or the Taft–Hartley Act, in 1947. More recent unsuccessful efforts included attempts in 1978 to permit triple backpay awards and union collective bargaining certification based on signed union authorization cards, a provision that is similar to one of the proposed amendments in the Employee Free Choice Act. Under the NLRA, unions can become the representative based on signed union authorization cards only if the employer voluntarily recognizes the union. If the employer refuses to recognize the union, the union can be certified through a secret-ballot election conducted by the NLRB. The Little Wagner Act, written by Ida Klaus, is the New York City version of the Wagner Act. Along with other factors, the act contributed to tremendous growth of membership in the labor unions, especially in the mass-production sector. The total number of labor union members grew from three million in 1933 to eight million at the end of the 1930s, with the vast majority of union members living outside of the Southern United States. ^ Our Documents: 100 Milestone Documents from the National Archives. Oxford: Oxford University Press. 2006. pp. 162–63. ISBN 978-0-19-530959-1. ^ "Salary and Benefit Discussions Among Employees". Retrieved 2012-11-04. ^ "Where Does NLRA Apply?". Retrieved 2012-11-04. ^ "Know Your Rights". Retrieved 2012-11-04. ^ Iafolla, Robert (January 25, 2019). "Companies Using Contract Labor Get Boost From New NLRB Test (1)". Bloomberg. ^ Hilgers, Lauren (2019-02-21). "The New Labor Movement Fighting for Domestic Workers' Rights". The New York Times. ISSN 0362-4331. Retrieved 2019-03-10. ^ "When labor laws left farm workers behind -- and vulnerable to abuse". PBS NewsHour. 2016-09-18. Retrieved 2019-03-10. ^ DeWitt (2010). "The Decision to Exclude Agricultural and Domestic Workers from the 1935 Social Security Act". Social Security Administration. ^ Ravo, Nick (1999-05-20). "Ida Klaus, 94, Labor Lawyer For U.S. and New York, Dies". New York Times. Retrieved 2015-05-03. ^ "Ida Klaus". Jewish Women's Archive. Retrieved 2015-05-03. ^ Kennedy 1999, p. 320. Atleson, James B. (1983). Values and Assumptions in American Labor Law (Pbk. ed.). Amherst, Mass. : University of Massachusetts Press. ISBN 978-0-585-25833-1. Cortner, Richard C. (1964). The Wagner Act Cases. Knoxville: Univ. of Tenn. Press. Dannin, Ellen (2006). Taking Back the Workers' Law: How to Fight the Assault on Labor Rights. Ithaca, N.Y.: ILR Press/Cornell University Press. ISBN 978-0-8014-4438-8. Gregory, Charles O. (1961). Labor and the Law 2d rev. ed., with 1961 Supplement. New York: Norton. Kennedy, David M. (1999). Freedom from Fear: The American People in Depression and War, 1929-1945. Oxford University Press. ISBN 978-0195038347. Morris, Charles J. (2004). The Blue Eagle at Work: Reclaiming Democratic Rights in the American Workplace. Ithaca, N.Y.: Cornell University Press. ISBN 978-0-8014-4317-6. Schlesinger, Arthur M. (c. 2003). The Coming of the New Deal: 1933–1935 (1. Mariner books ed.). Boston: Houghton Mifflin. ISBN 978-0-618-34086-6. F. L. B., Jr. (Mar 1941). "Reinstatement with Back Pay under the Wagner Act". U. Pa. L. Rev. & Amer. L. Reg. 89 (5): 648–60. doi:10.2307/3309199. JSTOR 3309199. Keyserling, Leon H. (1960–1961). "The Wagner Act: Its Origin and Current Significance". Geo. Wash. L. Rev. 29: 199. Klare, Karl E. (1977–1978). "Judicial Deradicalization of the Wagner Act and the Origins of Modern Legal Consciousness, 1937–1941". Minn. L. Rev. 62: 265. Lynd, Staughton (1984). "Communal Rights". Tex. L. Rev. 62 (1417): 1430–35. Mikva, A. J. (1986). "The Changing Role of the Wagner Act in the American Labor Movement". Stan. L. Rev. 38 (4): 1123–40. doi:10.2307/1228578. JSTOR 1228578. Nathanson, N.L. ; Lyons, E. (1938–1939). "Judicial Review of the National Labor Board". Ill. L. Rev. 33: 749. "Effect on the A. F. of L. -C. I. O. Controversy of the Determination of Appropriate Bargaining Units under the National Labor Relations Act". Yale L.J. 47 (1): 122–124. 1935–1958. doi:10.2307/791821. JSTOR 791821. "The Proposed Amendments to the Wagner Act". Harv. L. Rev. 52 (6): 970. 1938–1939. doi:10.2307/1334189. JSTOR 1334189. Pope, J. G. (2004). "How American Workers Lost the Right to Strike, and Other Tales". Mich. L. Rev. 103 (3): 518–53. doi:10.2307/4141930. JSTOR 4141930. Pope, Jim (2006). "Worker Lawmaking, Sit-Down Strikes, and the Shaping of American Industrial Relations, 1935–1958". Law & Hist. Rev. 24 (1): 45–113. doi:10.1017/S0738248000002273. JSTOR 27641352. Warm, J. Louis (1938–1939). "A Study of the Judicial Attitude Toward Trade Unions and Labor Legislation". Minn. L. Rev. 23: 256. Woods, Warren; Wheatley, Altha C. (1936–1937). "The Wagner Act Decision – A Charter of Liberty for Labor?". Geo. Wash. L. Rev. 5: 846.